To demonstrate just how much our parks matter, Fields in Trust is encouraging all communities to celebrate their local green spaces on 8th July. Parks and playing fields are a well loved part of our local landscape and used by the whole community from pre-school children to retired adults; but funding cuts mean these green spaces are under threat, less well maintained and at risk of development. To demonstrate just how much our parks matter, UK-wide charity Fields in Trust is encouraging all communities to celebrate their local green spaces on Saturday 8th July. The national Have a Field Day event will show the many different ways people use their public parks and why local communities value them so greatly. With the clocks springing forward, UK communities are looking forward to getting outdoors and enjoying their local green spaces. However, Fields in Trust report that local authority funding cuts could have a damaging impact on the nation’s health. Recent research shows that local access to green space leads to people feeling healthier and happier – and becoming more active as a result. Fields in Trust Ambassador, author Bill Bryson said: Britain has the comeliest, most enchanting, abundant and often venerable parks and green spaces of any country I know. Wherever you are, you are never more than a few minutes from woods, greensward and fresh air. How splendid is that? I am delighted to see them celebrated by Fields in Trust." Last month’s CLG Parliamentary Committee report into Public Parks calls for more recognition of the contribution that parks make to our communities. As an advocate for parks, playing fields and recreation grounds Fields in Trust has been calling for just such a re-valuing of greenspace, to take account not just of the cost of upkeep, but the vital contribution they make to health, wellbeing and community cohesion and ensure they are safeguarded for future generations. Over half of the UK population (57%) regularly use parks each month; families with children being the most frequent visitors (90%). As well as getting physically active, one in ten also say the park is the place they would go in order to gain clarity and to improve their overall mental wellbeing. Local green space is vitally important in meeting the government’s aim of creating a more active nation; an ambition which requires all kinds of formal and informal recreational space to be accessible. Yet continued funding cuts mean green spaces are less well maintained and are under threat due to pressure on land for housing and retail developments. Nearly 92% of local authority parks departments have experienced budget cuts in the past three years. This is in the face of three-quarters of park managers reporting increased visitor numbers (State of UK Public Parks 2016). To demonstrate the importance of green spaces within our communities and ensure local authorities and developers truly understand their benefit Fields in Trust is encouraging people to come together on 8th July - the anniversary of the first meeting of the National Playing Fields Association at the Royal Albert Hall in 1925. 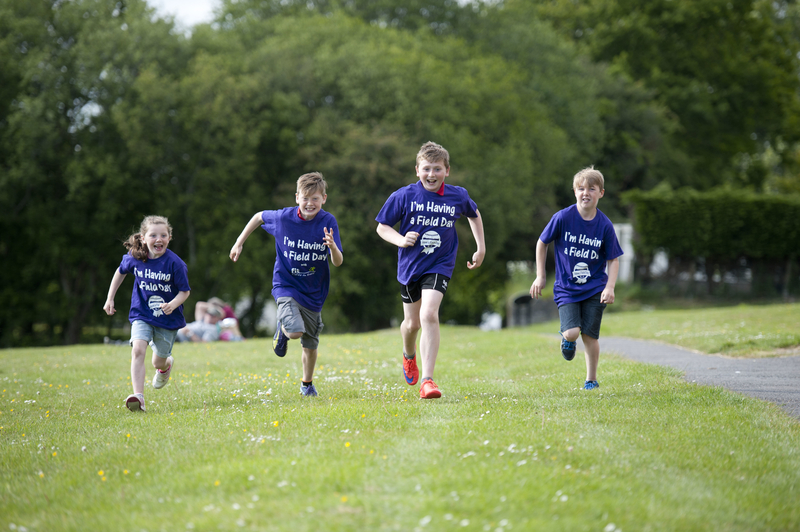 The Fields in Trust Have a Field, 2017 event is supported by the National Federation of Parks and Green Spaces, parkrun and 38Degrees each of whom are encouraging their networks of park users to join the celebration on July 8th. 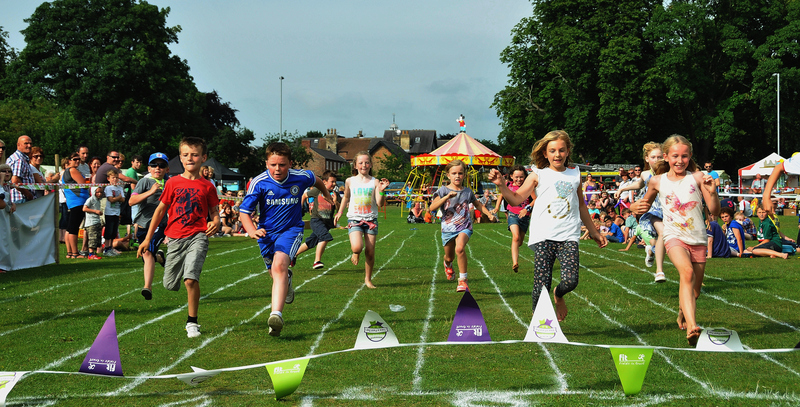 From Monday 27th March – as the clocks go forward and we anticipate warmer weather, organisers can register their events on the Fields in Trust website, www.fieldsintrust.org/haveafieldday. All registered events will be able to access a downloadable toolkit with ideas to help run a successful community event. A pack of support materials will be provided to those who commit to raise funds for Fields in Trust’s work. There is no blueprint for how an event should look, however, with each Have a Field Day reflective of the local community the park serves. Have a Field Day was established by Fields in Trust in 2012 as a way for local communities to celebrate their newly protected Queen Elizabeth II Field. Later expanded to be available to all sites protected with Fields in Trust, in the five years since almost 1,800 Have a Field Day events have taken place with in excess of 360,000 attendees. Following the second year of Fields in Trust’s highly successful UK’s Best Park, as voted by YOU! Award, which saw any local green space eligible to be nominated and voted for by the public, for Have a Field Day 2017 we invite any community from across the UK to participate.